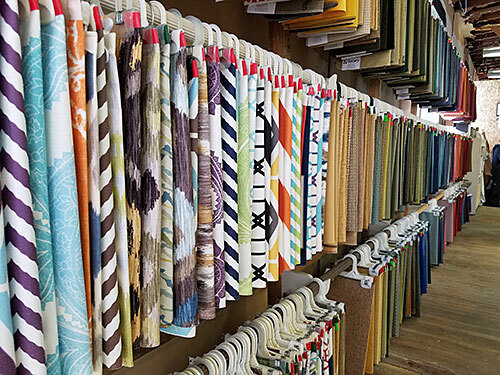 We have thousands of fabric samples to choose from and friendly staff here to help. 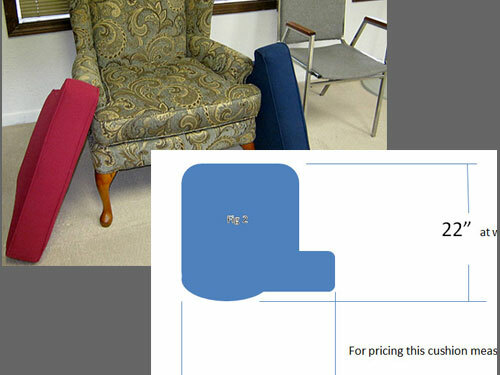 Custom re-upholstery is our specialty. Use our online form, give us a call or stop in. 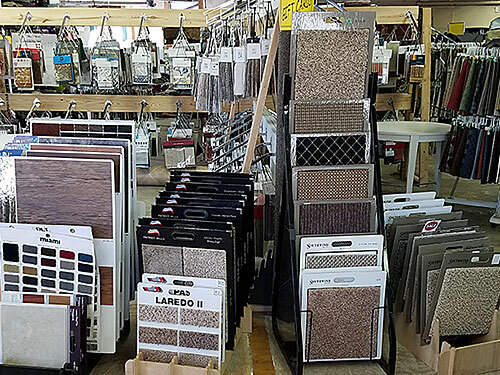 Let us help you pick out just the right flooring for your needs. 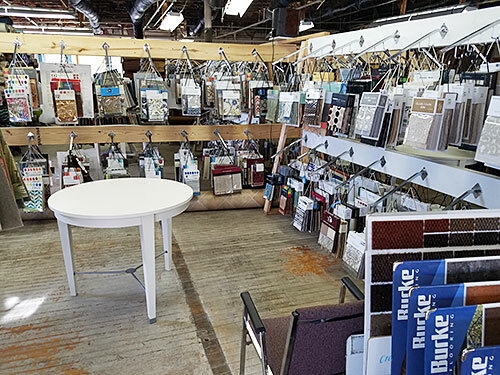 New location on Goshen Avenue! Traditional upholstery is a craft which evolved over centuries for padding and covering chairs, seats, benches and sofas. Before the development of sewing machines, synthetic fabrics and a plastic Type foam was used. Using a solid wood or webbed platform, it can involve the use of springs, lashings, stuffing made of animal hair, grasses, wool, hessian, scrims, bridle ties, stuffing ties, blind stitching, top stitching, flocks and wadding all built up by hand. In the Middle Ages, domestic interiors started becoming more comfortable and upholstery was playing an important part in the interior of the home. The decorations consisted mainly of what we would now consider as “soft furnishings”, though there were simple platforms of webbing, canvas or leather for stools, chairs and elaborately decorated coverings that already demonstrated the rudimentary beginnings of upholstered furniture. By the beginning of the 17th century chair seats were being padded, but this form of upholstery was still fairly basic. All sorts of stuffing from sawdust, grass, feathers, to deer goat or horsehair were being used, although in England, the Livery Company forbade the use of goat and deer hair and imposed fines for misdemeanors for using them. The stuffing was heaped on a wooden platform and held in place with a decorative top fabric and nails. This produced a simple “dome” shape sloping towards the seat. Only towards the end of the 17th century did upholsterers start to develop the techniques that would distribute and shape the stuffing into more controlled shapes. What we think of today as ‘classic’ upholstery shapes and techniques flourished in the 18th century. Frames of elegant line and proportion were sympathetically matched by expertly executed upholstery. 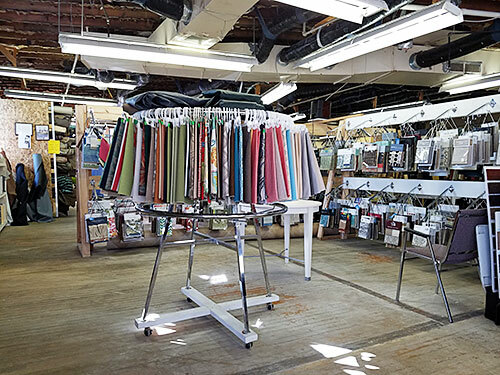 At this point, the upholsterers’ technical knowledge meant that stuffing could be controlled along upright and sloping lines, giving new levels of comfort and a stated elegance. Later in the century, the border was replaced by a single piece of linen or scrim taken over the stuffed seat and tacked to the frame.